I was recently looking at a whole bunch of ‘faith in humanity restored memes’ and then I remembered some bad luck stories that recently happened to a couple of friends. The first had his phone stolen by housekeeping from his room in Thailand and the second had not only her phone and money stolen, but also her friends by a charming mysterious gentleman she had brought back for the night in Bali. I thought about how they didn’t have a ‘faith in humanity restored moment.’ This prompted me to think about one of my bad luck stories. However, I was very fortunate to have a ‘faith in humanity restored moment,’ which I’d like to share today. 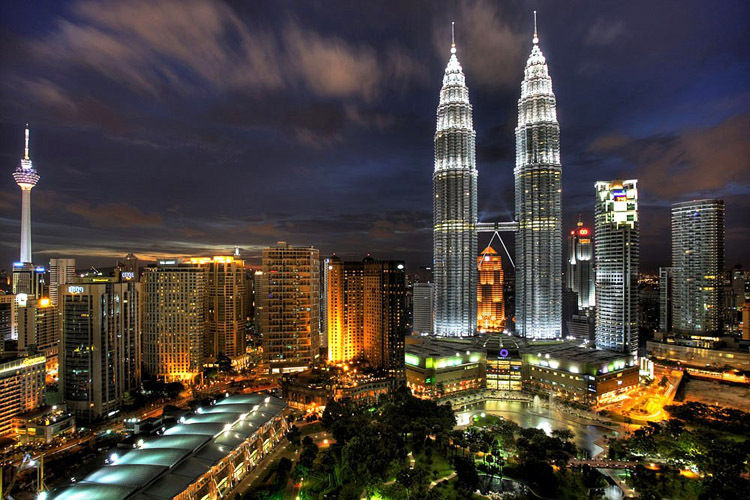 In December 2013, I flew to Kuala Lumpur, Malaysia with AirAsia. Before KLIA2 (Kuala Lumpur International Airport 2), AirAsia landed at LCCT (Low Cost Carrier Terminal). For those who have never been here, the LCCT terminal essentially resembles a cargo terminal that is understaffed, rather dirty and largely employs foreign poorly educated workers at wages that are probably around the poverty line. It took me about 30 minutes of driving before I snapped out of the initial excitement and a thought occurred to me. Where was my passport? What started as an off thought quickly transformed into total dread of what would come next. A thorough checking of my hand luggage resulted in only negative results. Meanwhile we were still driving further away from the airport at 120 km/h. It soon became quite obvious that I had left my travel wallet behind, at which point we started making our way back to the airport. Calling the airport’s lost and found multiple was no help (the worker proceeded to try and flirt with my friend as I don’t speak Malay) and only succeed into increasing my annoyance in myself for being so careless. Then came the first of the two things that I just have to laugh about when I look back on this traumatic experience. Kuala Lumpur like many large cities are designed with massive highways that have no turn offs for tens of kilometres. So when my friend took a wrong turn (essentially taking us a further 50 km away), I was nearing breaking point. Eventually we were back on the right road and about 30 km out from the airport when the second thing occurred. A truck tyre burst in front of us and driving over the debris somehow caused one of our car tyres to burst as well. At first we thought we could keep driving but after closer inspection it was obvious that that was a bad idea. Naturally, with the way the day was going, the spare tyre was flat and the car of people that were friendly enough to stop didn’t know how to change a tyre so we were forced to call highway patrol. Fortunately, they were only about 15 minutes away. However, upon their arrival they did everything but fix the tyre (their actions consisted of arguing for 20 minutes about whether they should help pump of the flat tyre or attend to an accident further down the road to trying to flirt with my friend and get her number). Eventually, they agreed to help us and we were back on the road. With no further delays we finally reached the airport. I didn’t expect the trolley to be where I left it, but nor did I expect what happened next. A cleaner was in the general vicinity of the area so with my last bit of hope fading fast, I approached him and asked about my travel wallet. An exchange of broken English was exchanged before he said the words ‘black file,’ nodded and and then motioned for me to follow him. We approached a wall that turned out to be a firehose cupboard and then he pull out a mailman sack. I could not believe my luck when he pulled out the folder completely in tack and without anything removed from it. For his troubles I gave him $100 and went on my way. I used to hate it when people ask me if I’ve packed everything etc. However, since that day I take it as a necessary evil. My faith in humanity restored, I went on to have an amazing time complimented with good friends, food and memories. Times like these it’s always good to remember that there are still decent people out there.